A technical writer is the one who prepares content according to the client requirements and technical part of the documentation. When the writer gets all the keywords and the topic to prepare the necessary content, the writer has to search and find necessary information and for that he/she should have excellent researching skills to fulfil the task efficiently. They mainly work with product and service and show step by step procedure in simple and how to use that particular service or product. In today’s world because of technology and marketing era, the industry is changed so much that content writing, technical writing, web designing, blog writing, etc are making a reasonable amount out of this without breaking a lot of head into it. Below are few technical writing tips and points that will give you better information about technical writing jobs and careers. The person who is interested in becoming a Technical Writer has to have necessary skills such as computer knowledge like MS Word, Typing skills should be excellent. Whatever language the writer wants to write, a technical writer should be well versed with it. If he writes the content with lot of grammatical errors or takes a lot of time in submitting an article, then he or she is not fit to become a writer. The technical writer has to be very attentive and careful in putting down the words. It shouldn’t be very specific and informative. It is not for the entertain purpose so one has to make content in such a way that the reader doesn’t have any problem in understanding and gets to know the content in a very simple and lucid language. Technical writer has to keep this in mind because that is one of the skills and qualities of a technical writer. Having in-depth knowledge about the computer is beneficial because if any writer comes with a problem then he/she can solve instead of waiting for someone else to solve that problem for him. Because it takes time and at the end it will give a bad impression on the client. Even having a basic knowledge about the computer for the starter is also fine but having thorough will give confidence in completing the said task on the time. If planning to start on this as a content writer and technical writer and taking to this on to the next level, then you have to take up some higher courses such as English literature or some high-level advanced computer courses, etc. Some may think it’s no use to take some high courses but actually it has helped many people in making their startup job into a startup business. Therefore, taking course is really beneficial for the writer to take the job into next level. Technical with a College degree have a lot of chances to get opportunities in getting clients and jobs with great salary or money in it. The clients and the employers look for the person who has a degree because they know that he/she has the complete knowledge to complete the task efficiently and successfully. 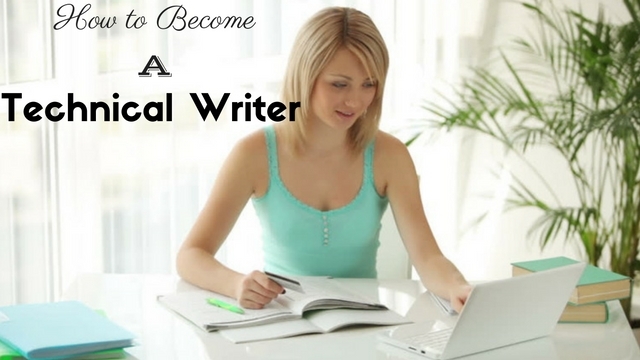 It gives higher chances for the candidate to become a successful content writer in future. You can’t just jump to the big step because it may be difficult to handle and stressful at the start if you take everything all on your head. Help out or take part in college activities like Essay or Paragraph writing competition. Writing contents in the college magazine is the best way to start because you will be getting attention from the professors so ultimately they will become guidance on how to make the content more effective, etc. The content should be unique, it shouldn’t be copied or have any grammatical error. A technical writer should put words which make the topic interesting and easy to understand but at the same time it should also be unique and plagiarism free. While keeping this rule and discipline in writing down the articles, the person will have more followers and also clients to give more work. A technical writer who delivers quality content is said to be a excellent writer so the writer should aim in giving unique high quality based article. There are many people out there who are cheating so that the market is competitive that your work should show overall qualities. Therefore a technical writer has to maintain good work relationship to become a technical writer if he/she cheats people or give low quality articles then the client will discontinue giving the work and opt for another writer. If this just goes on then there are chances of loosing job and also the business. Technical writing work is gone in a business level mostly so the technical writer should create its own brand by delivering quality based articles. By doing so there are many factors which comes up in action such gaining confidence in other people, trust, good business relationship, etc. When the writers do excellent job on their side they automatically start getting rewards when he is been given reference to other people by his clients so the technical writer should create its brand by taking all factors into consideration. Unlike any other kind of writing such as opinion based, technical writing is much different. It has to help the reader understand properly the process of the discussed product or subject. So for the description to be in a clear as well as concise way, the necessary skills which are needed by the person should be known. These skills may either be basic in nature done on an everyday basis along with a combination of future preparation. a. Any firm’s technical writer would always keep documents such as instruction manuals, articles or documents which contain the information necessary for the customers, manufacturers, designers, etc. b. A person who is a technical writer should also write their own articles, scientific papers, any brochures or student and employee handbooks. c. The person should also have a clear vision and a good eye for the ability to communicate with others. d. They should have a good teaching ability to explain and communicate with others. e. Any other knowledge of things such as punctuation marks, proper syntax and formation of proper sentences and grammar use should also be well rehearsed by them. a. The information that they are about to state must contain the appropriate clarity, brevity combined with simplicity. b. For the person to understand their content, it would be necessary that they edit their work if needed and keep revising it. c. First identify and know the audience with respect to the topic and then start writing according to their expectations. d. The purpose of the document should also be well known by the person. e. The supporting materials for the document should be properly organized by the person and then only they should outline their document. f. Time should be properly scheduled and budgeted with respect to time for writing, revising as well as editing of the document. In the world today, technical writing is considered as a growing field in a number of aspects. It is predicted that jobs for a technical writer will mainly increase and grow 15% more than that of any other average occupations. With the skills that an individual possess is growing and increasing, this career is becoming in demand who are improving in the field of technology. This particular ability of effective communication with others will automatically put the individual in front of the other candidates in the market. There may be a number of tasks and different procedures to be assigned to each. So always know that any task contains a group of certain actions to be performed. So the procedure for performing the task may either be just one single one. And the technical writer should ensure that it has been assigned properly and is being effectively performed. For the organisation of a long set of tasks, the best way would be to group all the tasks which are similar or related to the other. These tasks should first be grouped into a set of steps. Then the steps can be grouped into different stages. And on doing so, ensure that each stage should be numbered. Information can also be organised by the individual with certain tools rather than using tasks. For the information available, the writer should consider all the possible tools which are available. But this approach may only be convenient when there is a product or a specific item available. A technical writer should always have the ability to simplify certain terms whenever they are mentioned in their articles. Whenever certain terms, phrases, any kind of slang or jargon is used, first identify whether or not the audience will be able to understand it. If they cannot understand it, then the writer should define these terms well enough for them. They can also replace these terms with words which are basic and better understood by the audience. And most importantly, the terms should not create any confusion in the minds of the readers. Companies do have bulk articles to be given to the freelance writers so find such companies which are willing to give bulk articles. All you have to do is go for an interview and if you get selected, the company will give bulk articles and also a deadline to finish all the topics and give them all together. This will give you higher pay and it is also very good for startup technical writers. A technical writer should know that their prepared content may not always be perfect and up to the mark. Though the writer may think that everything is done perfectly but in the view of others, there may be certain errors. For this, the writer should always be prepared for any necessary last minute revisions or quick rewrites. For this, the communication should be effective between the client and the writer so that messages will be conveyed well. Any kind of revisions or editing should never be taken personally by the writer. Know that the writer is working for a client and the document needs to be as per the need and requirement of the client only.